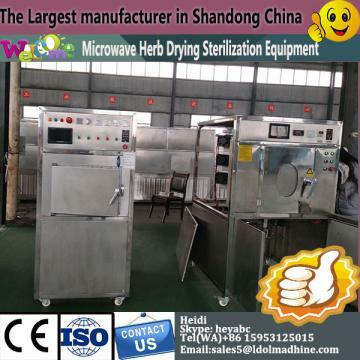 Microwave drying, sterilization, heating, preservation, extraction, synthesis, puffing, thawing and sintering equipment have been widely used in leather, wood, color printing, food, spices, chemicals, pharmaceuticals, tobacco, building materials, ceramics, paper, rubber and medical fields.Microwave rope drying sterilizer machine characteristic of fast speed, energy saving, high production efficiency, uniform drying, clean production, easy to achieve automatic control and improve product quality and so on. Microwave rope drying sterilizer machine Moisture of chemical products is very low in general,such as ammonium chloride (1%),products purple(4%)have drying process in the production .Microwave drying sterilizer machine traditional crafts often use steam-heated drying,long production cycle,dried quality is poor,such as copper sulfate,although centrifugal dewatering,but there is still a small amount of absorbed water stained ,in order to dehumidify these stained water ,while heating using steam ,must evaporate absorbed water and copper sulfate materials,require more heat to complete the drying task. Microwave rope drying sterilizer machine use microwave heating characteristics,not only can shorten the production cycle,improve product quality,save energy(efficient),but also can improve the working environment,there is no dust pollution.Therefore, chemical products drying is playing advantages of microwave heating and drying technology. Shandong Leader Mechanical Equipment Co., LTD is a microwave equipment, microwave drying sterilizer, microwave heating equipment Microwave rope drying sterilizer machine, microwave drying machine, microwave sterilization equipment, microwave drying equipment, grains microwave curing equipment Microwave drying sterilizer machine, seasoning microwave drying sterilizer, Shandong Microwave drying machine, sunflower seeds, such as microwave dryer products specializing in the Microwave drying sterilizer machine production and processing companies, with complete, Scientific Quality Management system. Shandong Leader Mechanical Equipment Co., LTD The integrity, strength and product quality recognized by the industry. Welcome friends from all walks of life visit, guidance and business negotiations. 6). 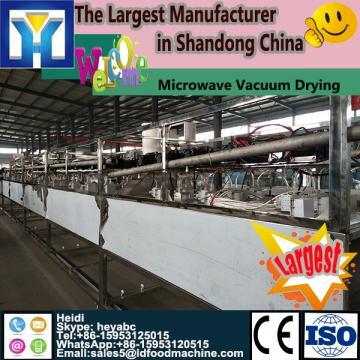 1 year complete warranty for Microwave rope drying sterilizer machine . 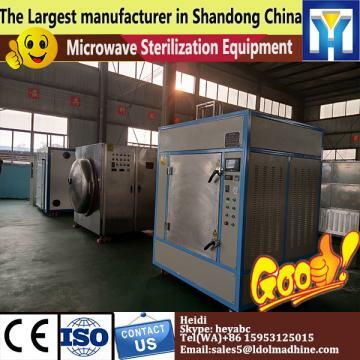 If you have any questions about Microwave rope drying sterilizer machine don't hesitate to contact with us.